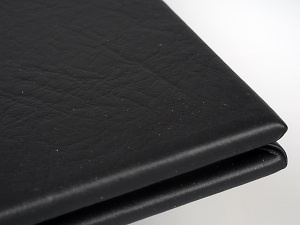 We take a look at PermaJet's latest presentation books which feature a glue-free folio system. Daniel Bell reviews the Kodak Pulse 10.4 inch Digital Photo Frame, with Wi-Fi connectivity. We take a look at a new collection of frames from Snapswall - the company which is all about creating eye-catching, personalised photo displays. Great pictures deserve great presentation and that means beautifully cut mounts. Will Cheung has a go with the Longridge Trio mount cutter. Matt Grayson trips the Light fantastic to take a look at an innovative frame from Pictronic. Posting your images on ePHOTOzine is a great way of illustrating your work to the world. But before the interweb, we photographers had to think of other ways to get our images shown. Arrowfile are still manufacturing those solutions. Matt Grayson takes a look at the Professional portfolio's. Matt Grayson takes a look at ways of storing your pictures and negatives. The AcrylicSandwich Block from PhotoArtistry provides a spectacular finish to your artwork and photographic prints. The reflection from the highly polished edges creates an illusion, giving your print a contemporary 3-dimensional effect.